A bumper update this week and some excellent progress. Target was 8,000 words, I’ve blown that away with a hearty 11,125! I’ve got two of the main characters into flight now and both are coming together well. All that work in fine-tuning the plot is really paying dividends, I’m writing quickly, with high confidence that I’m not going down a blind alley. Another French chap for this week’s pithy title, a man by the name of Francois-Marie Arouet. You may have heard of him under his more popular pseudonym though – Voltaire. This quote was also used, more recently, in ‘Spiderman’. It’s apt this week. I’ve been musing long and hard about what specific nods to the game I want to include. Some of my pledger interviews have been quite revealing in this regard (more of that later). The trick is making the novel feel like an integral part of the game, such that when you play the game the novel ‘feels’ right, and doesn’t jar with the in-game experience. Some of this is easy, using the correct nomenclature and so on (e.g. Snake ships, or Remlok masks and the like), or ensuring that the places in the book will actually be in the game, but a lot of it is more subtle – capturing the ‘feel’ of the Elite Dangerous universe, with homage to the earlier games – whilst maintaining my own style of writing – and given the small fact that the game doesn’t yet exist, it’s tricky! So how am I going about this? First I’ve made a point of playing Frontier (in the form of GLFrontier) quite a bit. I’m an ‘original’ Elite-er, so the later games are less familiar to me and so I’ve picked up how important the art of navigation, the different types of ships and the significance of planetary landings are to those games. (More of that later too!). Secondly, I’m assiduously studying both the Dev/Fiction Diaries and the information presented to me in the Writer’s forum. There’s almost too much information here, and the trick (for me atleast) is to pick and choose what I consider to be the most ‘Elite-y’ parts for inclusion in the story. This is rather subjective of course. Thirdly, I’m viewing this very much as a ‘space-opera’, a wide-scale series of events across several systems. Elite was all about open-ended travel, so ensuring the story moves across a variety of locales is important. There are some fundamental things I’ve identified that I need to include too. One of these (very minor spoiler!) is the inclusion of a Cobra Mk3 spacecraft. Personally I don’t think it could be an Elite story without this iconic ship. I’ll be treating it with reverance though, rather like a classic car from years gone by, but it will have an important role to play. So… speaking of fans, a number of you have kindly volunteered to be interviewed, and the first to reply was Cmdr. Kevin Jameson, so here’s his response. If you’d like to be interviewed yourself, please let me know. Q. Tell us your name and a little about yourself, what you do and where you come from. My name is Kevin, and I am a physics teacher based in the North East of England, although I actually hail from the North West so have a daily ‘war of the roses’ with the locals. I am a trustee of two charities and a deacon at a baptist church. These combined with being a husband and father of two keep me busy. I am not entirely sure when I will be able to find time to play Elite : Dangerous but I suspect when my wife finds out how much I pledged for it, she will go with the kids giving me the time I need! Q. What sort of sci-fi are you into? What’s your favourite book/film/show? My first introduction to sci-fi was Quantum Leap. This was amazing and led me to pursue other types, both in book and TV. Star Trek was quickly assimilated along with Sliders and pretty much anything I could persuade my family to let me watch. I enjoyed a book called Ender’s Game and have continued to read the various other books in the series to a greater or lesser degree. At the same time I read The Giver which lead me to seek out dystopian tales and sparked an interest in the development of characters, plots, society and history. 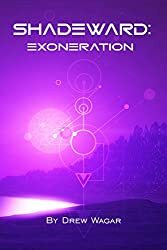 Books by Elizabeth Moon (Vatta), Stephen Baxter (Reid Malenfant), and James Halperin (The Truth Machine), along with classics from Clarke et al keep me going. I am always on the look out for more, but have little time to pursue the search so feel free to forward me ideas! Q. How did you come across Elite:Reclamation? Was it from the main E:D kickstarter, my previous books, or somewhere else? 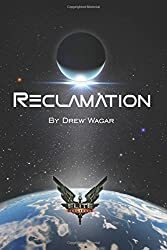 I found Elite:Reclamation from the main E:D kickstarter. I’d pledged £1,500 and wanted to contribute more but couldn’t manage the £3,000. Having looked at all of the books I realised this was the one I had most confidence in. 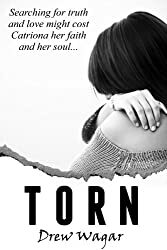 I bought your book ‘Torn‘ and was impressed. I am both a science geek and a religious zealot and I enjoyed the way you mixed the two in believable ways. Your obviously high level of research impressed me so I decided to support your fundraiser. Q. What did you think of the whole ‘Kickstarter funding a Kickstarter’ thing? Did it bother you at all? Not at all. I don’t see why it should. You are providing a book which is what we are supporting. One of the requirements is a licence to set it in the Elite Universe and the cost of that needed to be covered in the KS for your book. You were up front about that so I could choose to support you or not. At the end of the day I want to get in on what will be an amazing book, what you do with that money is none of my business – as long as you provide! Q. What was it that persuaded you to pledge for Elite:Reclamation? What did you think of my kickstarter approach? I alluded to this earlier; I thought your entire approach was professional and well thought out. I got a sense from your KS that the end product would be well planned, well researched, contain tension and political intrigue and most importantly, be a really good story. Q. How important do you feel fiction is to a computer game? This is hard for me to answer as I have never read a book about or set in the context of a game. 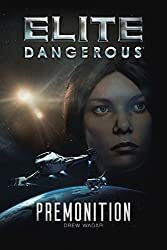 My first experience of Elite was Frontier, and it came with a book but I never read it. I recently bought a boxed copy again and intend to read it soon, along with your Oolite stories but for now I can only say I will enjoy finding out. Q. What are you looking forward to most about Elite:Reclamation? Detail. I love your diary updates and you have whet my appetite with the political landscape. I can’t wait to dive in and enjoy your story as it unfolds. Q. Finally what feedback would you like to give me as I embark on the writing? No spoilers! I like the setting you have given me but I personally am happy not to know anything about the characters or the plot line until I can read the whole thing. If you do the research and write with the same care as shown in ‘Torn’ then I will be very pleased. Thanks for that Kevin, very much appreciated. 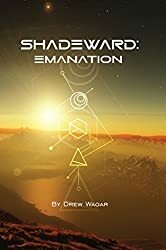 There is a religious element to Elite:Reclamation – so keep an eye out for that. Not revealing the plot or the character bios is a consistent theme – message received! I’ve got a few more interviews lined up and I’ll post one each week. If you’d like to have a go, get in touch in the comments below. Lastly, one thing that really surprised me on the Elite Dangerous Kickstarter was the amount of time spent hotly debating the issue of whether planetary landings would be in the next game. There was a school of thought that ‘seamless planetary landings’ (SPLs as they were quickly referred to) were a core feature and it wouldn’t be ‘Elite’ without this. Some pledgers even removed their support as a result. We know now that this is a feature that will arrive later, so we won’t see it initially. Excellent update as always, loved the video too! I wasn’t aware anyone removing support due to the SPL issue, I thought it was well explained by David during his video interview and I was actually happy they deferred it until later and in light of how much work they have ahead of them I think its certainly justified. Yes, everything that Polaris Penguin says (+1). Nice one drew. @Commander Kevin J. – definitely with you on Ender’s Game, and its sequels; great books. Top notch video. Good work. A really good update, Drew. The video that you created was amazing and very realistic. I hope the planetary landings in ED are just as good. Setting the story was a bit of ongoing drama for me TJ, best of luck!